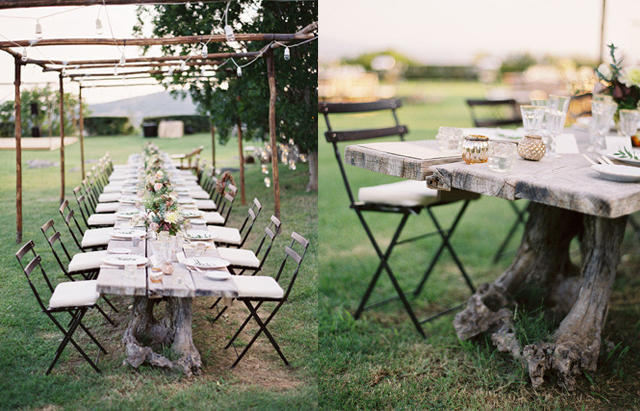 I saw this Once Wed Tuscan wedding on Design Sponge last week and can’t stop thinking about it. These photos by Jose Villa are just stunning. I love it when a setting which is intended for one purpose can be used for another. 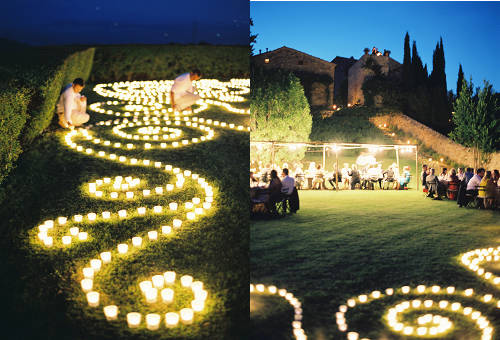 I’m thinking a late afternoon garden soiree. I’m amazed at the reclaimed table. Everything is so simply set and the natural beauty of the space is the highlight. 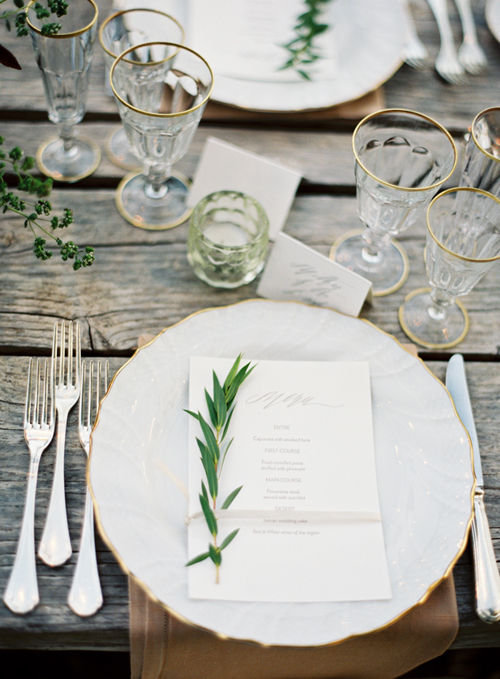 The elegance of the place setting is just divine with the sprig of greenery set against the menu. It’s not overstated, just simple. Ummm and the lighting? Well it had me at hello! That has WOW written all over it. I’m sure the guests would be talking about that for months.